Along with water, light is the most important element to growing healthy plants. Many kinds of plants can struggle along in inferior soil or survive without fertilizer, but no plant will live for long without light. Plants absorb light energy and turn it into energy through photosynthesis. Photosynthesis is performed in special cells called chloroplasts. Plants that can handle higher light levels have higher levels of chloroplasts. Chloroplasts also help plants respond to changing light levels by altering their concentrations. When plants are exposed to reduced light, they line up more chloroplasts to catch the lesser amount of light. This process is called acclimatization and helps explain why your shade-loving plants can sometimes be "trained" to accept higher light conditions. Plants' unique ability to convert sunlight to energy is a fundamental aspect of life on this plant. It is through plants that sunlight is converted to usable energy, which is then consumed by animals who in turn are frequently consumed by other animals as the energy moves through the food chain. When it comes to growing plants indoors, gardeners are typically fighting for enough light or more consistent light. It's important to know that natural sunlight coming through a window is not as strong as sunlight outside, and the intensity of the light drops rapidly the further the plant is moved from the window. A simple move of two or three feet away from a window can reduce the light intensity by more than 50 percent. North facing windows. These windows tend to have the weakest light intensity and are often in relatively deep shade throughout the window. It may be possible to grow shade-loving plants in a north-facing window during the summer months, but in the winter, these windows are usually not conducive to plant growth. South facing windows. Because the sun follows a slightly southern east-to-west arc across the sky, southern windows usually have strong light intensity. 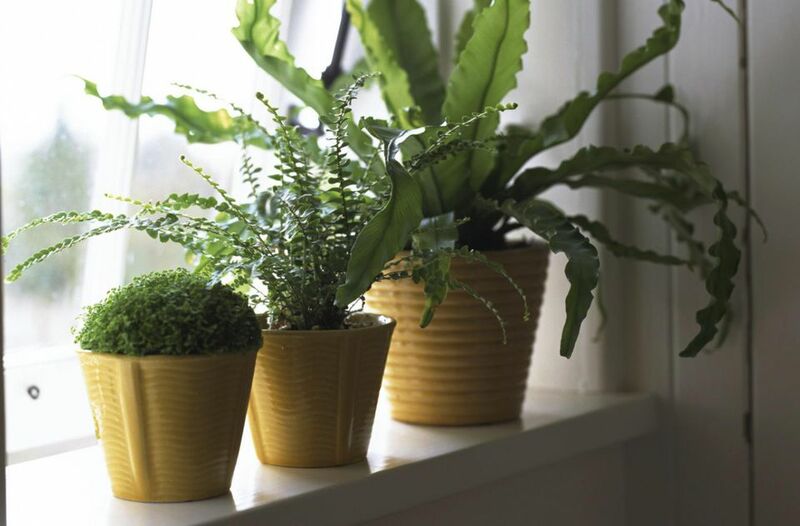 Plants placed in unblocked southern windows will typically receive the most light. East facing windows. East windows benefit from the morning sun when the rays are not quite as strong. East windows are often good for plants that need moderate sunlight or morning sunlight only. West facing windows. West windows get the full afternoon and evening sun, which can be surprisingly strong in the summer. Although they don't get the same intensity of light as southern exposures, a west-facing window is a good place for your sun-loving plants. There are many ways to measure light intensity. You can, for example, look at the amount of shadow cast by the light. A sharp, well-defined shadow implies bright light, while a fuzzy, indeterminate shadow is moderate light. No shadow at all is heading for lower light intensity. When considering foot-candles, it's good to remember that full sun outdoors is about 10,000-12,000 foot-candles, so even the brightest of indoor rooms rarely approaches that level of sunlight. With that said, however, it's still entirely possible to burn plants that are placed close to windows because the window glass can act as a magnifying glass and the plant may not be well acclimated to direct sun on its leaves. Ultimately, the best guide for your plants' optimal light intensity is the plant itself. Look out for signs of too much sun, which include yellowing leaves or burned spots, or too little sun, which includes leggy growth. How Much Light Do You Houseplants Need?